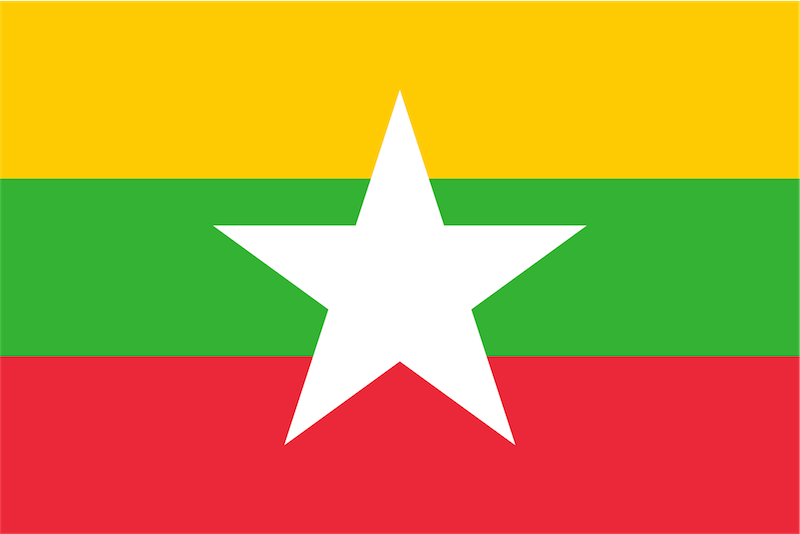 If you are a tourist from one of 100 countries listed below who will fly into Myanmar and will stay there for a maximum length of 28 days, then you are eligible for E-visa. For all other cases you should get regular tourist visas at Myanmar embassies. Our price is 70 EUR all inclusive (visa fee and our service) and you will receive your visa within 3 working days. As soon as we receive funds from you we check your application and if we are happy with it we will proceed with your application. Otherwise we will contact you to arrange the details. You will receive your E-visa to Myanmar within 3 working days. Please print it out (a black&white copy will do) and present it after your arrival to Myanmar. Albania, Algeria, Argentina, Australia, Austria, Bangladesh, Belarus, Belgium, Bhutan, Bolivia, Bosnia, Brazil, Brunei, Bulgaria, Cambodia, Cameroon, Canada, Chile, China, Colombia, Costa Rica, Côte d’Ivoire, Croatia, Cyprus, Czech republic, Denmark, Ecuador, Egypt, Eritrea, Estonia, Fiji, Finland, France, Georgia, Germany, Ghana, Greece, Guatemala, Guinea, Hungary, Iceland, India, Indonesia, Ireland, Israel, Italy, Jamaica, Japan, Jordan, Kazakhstan, Kenya, Korea DPR, Korea, Republic, Kuwait, Kyrgyzstan, Laos, Latvia, Lithuania, Luxembourg, Malaysia, Maldive, Malta, Mauritius, Mexico, Monaco, Mongolia, Morocco, Nepal, Netherlands, New Zeland, Norway, Pakistan, Panama, Peru, Philippines, Poland, Portugal, Qatar, Romania, Russia, Saudi Arabia, Serbia, Singapore, Slovakia, Slovenia, South Africa, Spain, Sri lanka, Sweden, Switzerland, Thailand, Turkey, Uganda, Ukraine, United Kingdom, United States of America, Uruguay, Uzbekistan, Venezuela, Vietnam.